“The officials said the warplanes on Friday targeted the headquarters of the Shura Council in the city of Darna, where local militias are known to be linked to al-Qaeda, not the Islamic State group,” ABC News reports. No formal claim of responsibility for the bus attack has been made yet, but it is widely suspected to be the bloody handiwork of the Islamic State’s Egyptian franchise. The BBC cites Egyptian media reports that six strikes hit the town of Derna in Libya. Deutsche Welle cites Egyptian military sources who said they believed the terrorists who carried out the bus attack were trained at these Libyan camps. Terrorists are engaged in a war against civilization, and it is up to all who value life to confront and defeat this evil. This merciless slaughter of Christians in Egypt tears at our hearts and grieves our souls. Wherever innocent blood is spilled, a wound is inflicted upon humanity. But this attack also steels our resolve to bring nations together for the righteous purpose of crushing the evil organizations of terror, and exposing their depraved, twisted, and thuggish ideology. America also makes clear to its friends, allies, and partners that the treasured and historic Christian Communities of the Middle East must be defended and protected. The bloodletting of Christians must end, and all who aid their killers must be punished. 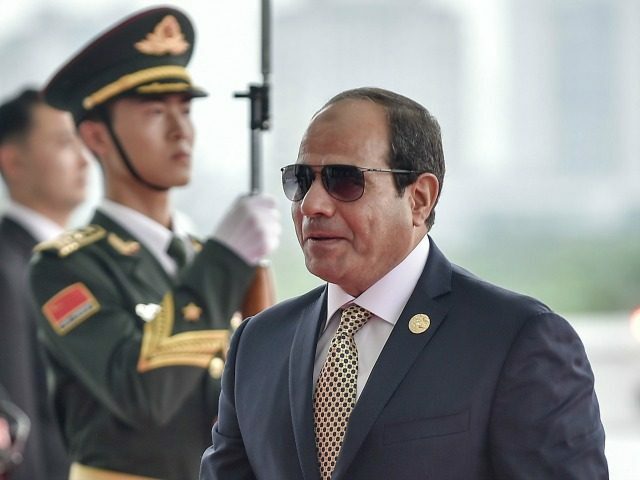 America stands with President Al Sisi and all the Egyptian people today, and always, as we fight to defeat this common enemy. Civilization is at a precipice—and whether we climb or fall will be decided by our ability to join together to protect all faiths, all religions, and all innocent life. No matter what, America will do what it must to protect its people.